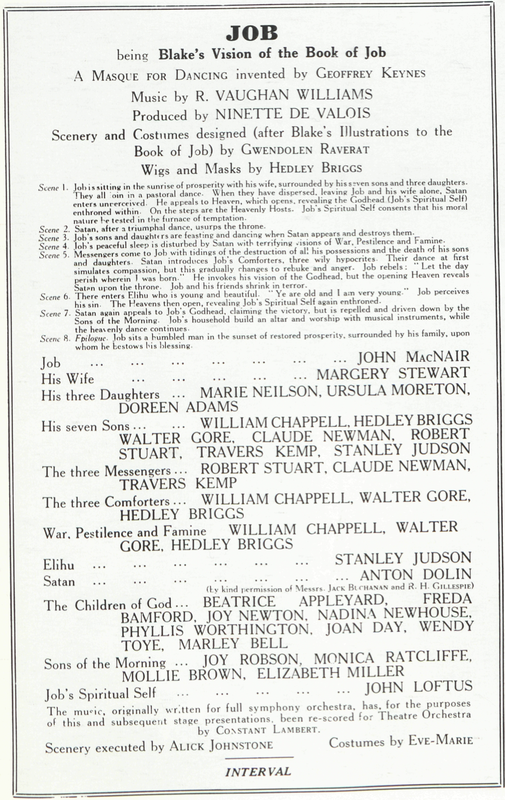 The 1931-32 season opened at the Old Vic on 22nd September and this first full season was fittingly introduced by a performance of Job, which the Camargo Society lent to the company and for which Vaughan Williams asked only a nominal fee. 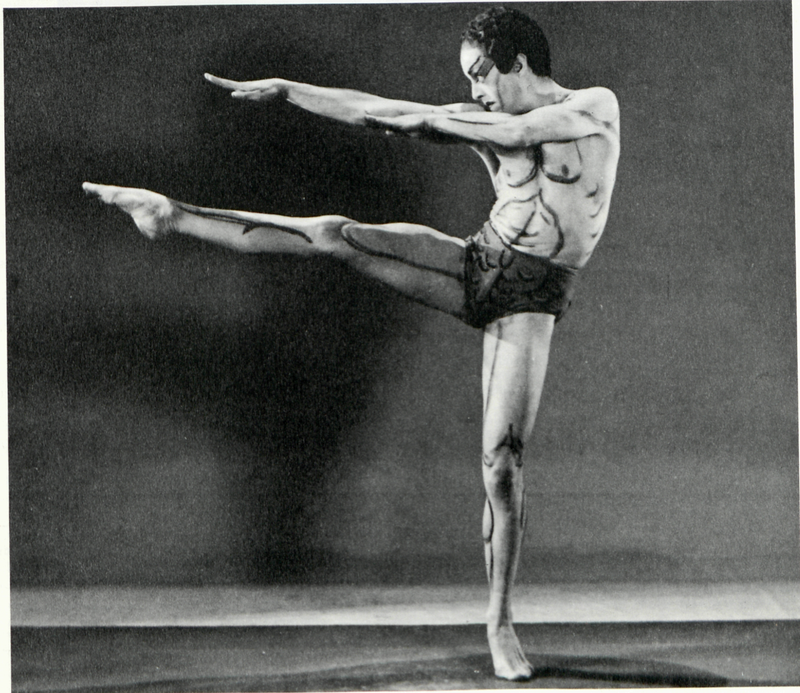 *↤ Reprinted from Mary Clarke, The Sadler’s Wells Ballet/A History and an Appreciation (Adam and Charles Black, London), 1955. 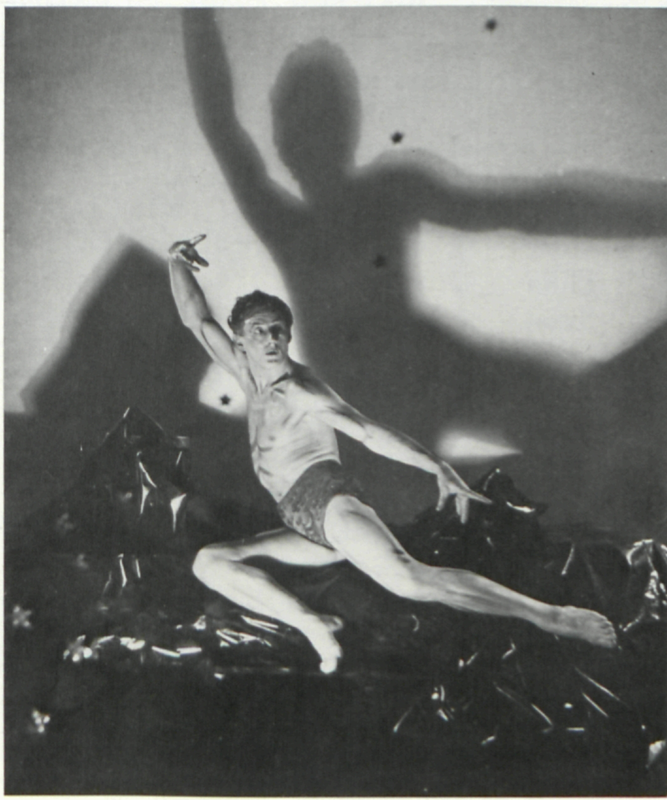 Dolin repeated his magnificent performance as Satan and the impact of the ballet was instantaneous. 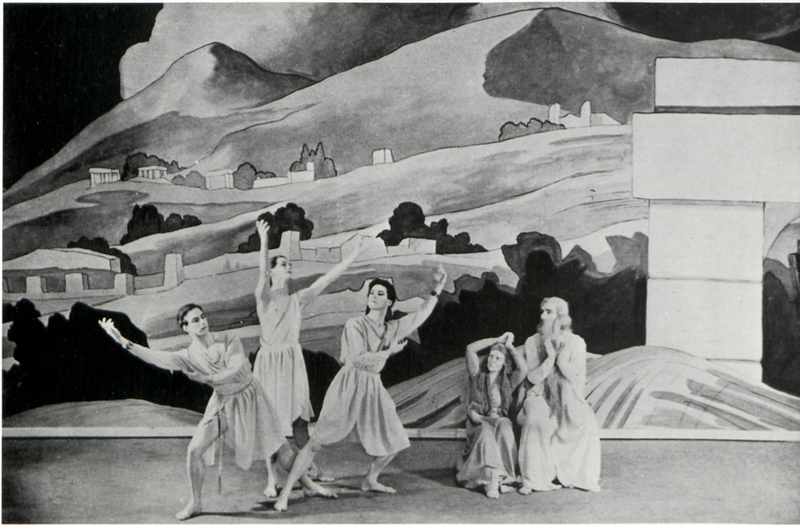 The first slight programmes may not have seemed very important, but a work like Job at once revealed the power and the creative force of de Valois as a choreographer and the possibilities for serious English ballet. Job was not only a succès d’estime but a popular success as well, and the Vic and Wells were crowded whenever it was given. It has remained in the repertoire of the Sadler’s Wells Ballet ever since and now occupies a very special place in the traditions of the company and in the affections of everyone who has been associated with Sadler’s Wells. 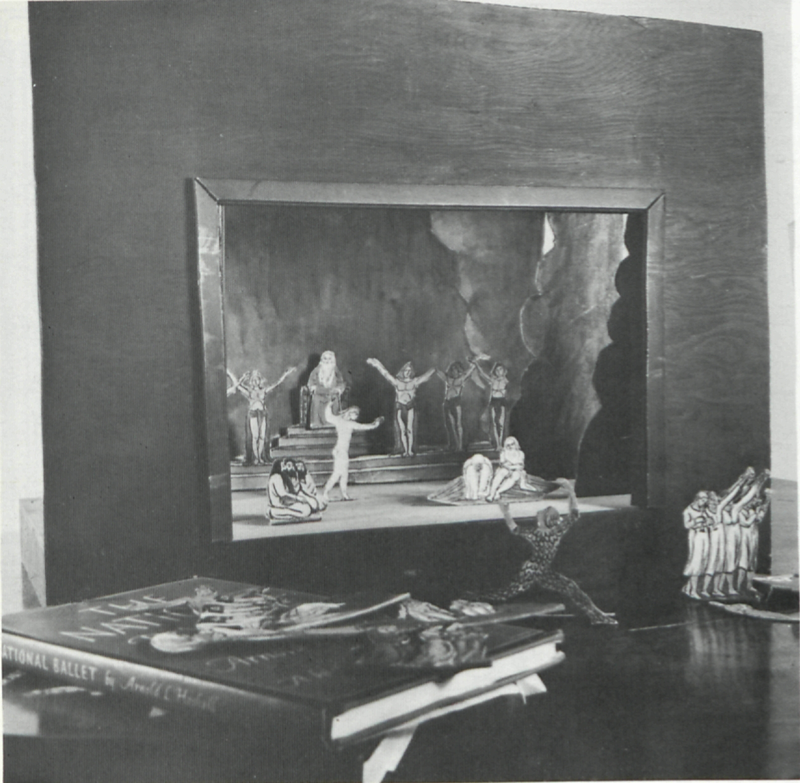 1 Toy theater model for Job, Gwendolen Raverat design. Victoria and Albert Museum. 2 Notebook sketches, Ninette de Valois. Victoria and Albert Museum. 3 Job television production, Harold Turner as Satan. Victoria and Albert Museum. 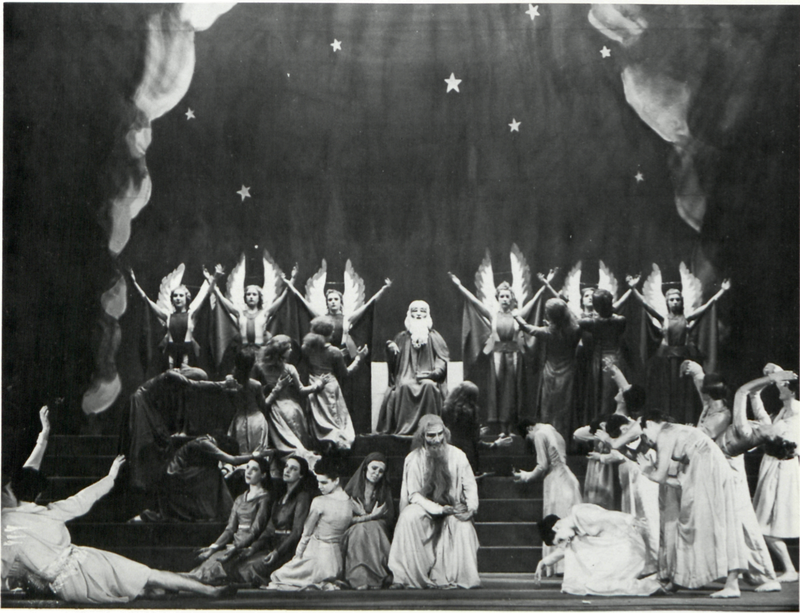 4 & 5 Original production, 5 July 1931. Victoria and Albert Museum. 6 Michael Somes as Job, later production. Victoria and Albert Museum. 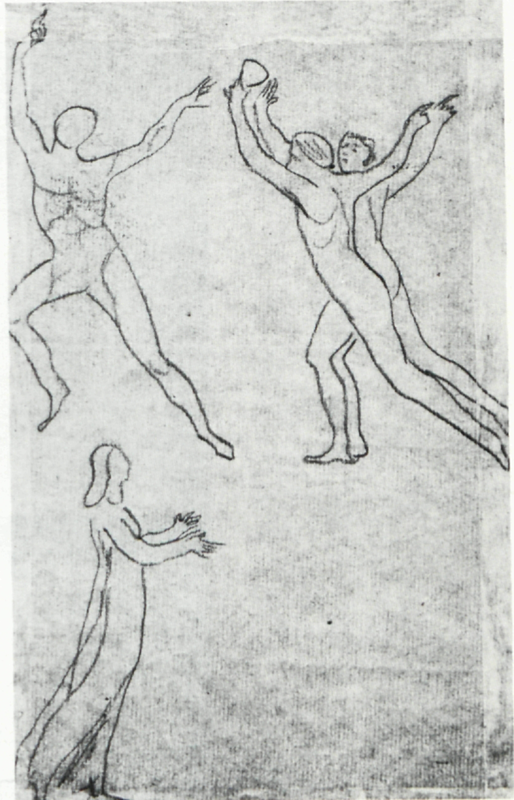 the scenario to Diaghileff, who was at that time the only person in a position to produce such a ballet, but the subject did not appeal to Diaghileff and he rejected it as too English and too old-fashioned. Dr. Keynes can probably take credit, however, for having sown a seed in the great man’s mind which was later to bear fruit in the production of Le Fils Prodigue. With the formation of the Camargo Society, Dr. Keynes saw another chance of having Job produced, and he invited Lilian Baylis and Ninette de Valois to come and see the models and the toy theatre. They were at once interested and it was agreed that de Valois should undertake the production, following the scenario of Dr. Keynes and using Mrs. Raverat’s designs. Dr. Vaughan Williams had stipulated that there should be no pointe work (which he detested) and that Job should not be described as a ballet, so the description “a Masque for Dancing” was adopted. De Valois made a very careful study of the Blake engravings and began to plan her production, while Mrs. Raverat set to work painting scenery at the Old Vic. 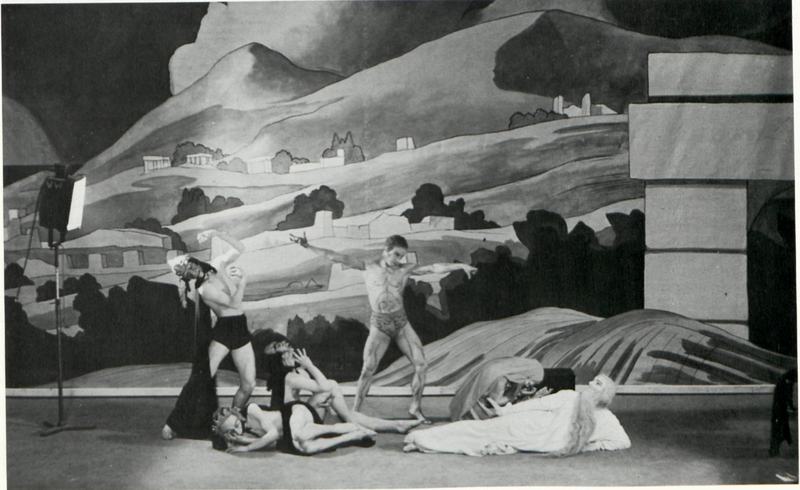 The production was to be presented by the Camargo Society at its fourth programme and Geoffrey Keynes undertook to finance it, being assisted by several friends, in particular by his brother Maynard and Sir Thomas Dunhill.1↤ 1 One benefactor was later taken to a performance by Geoffrey Keynes and his wife. The eminent man sat solemnly through the opening ballet, which happened to be The Jackdaw and the Pigeons, and at the end said politely to Keynes, “Yes, old boy, very interesting. But tell me, which one was Job?” Constant Lambert rescored the music for a much smaller orchestra and Job was produced for the first time at the Cambridge Theatre on 5th and 6th July 1931. 7 Studio picture of Anton Dolin for a later Raverat production. Victoria and Albert Museum. 8 Joy Newton, original production. Victoria and Albert Museum. 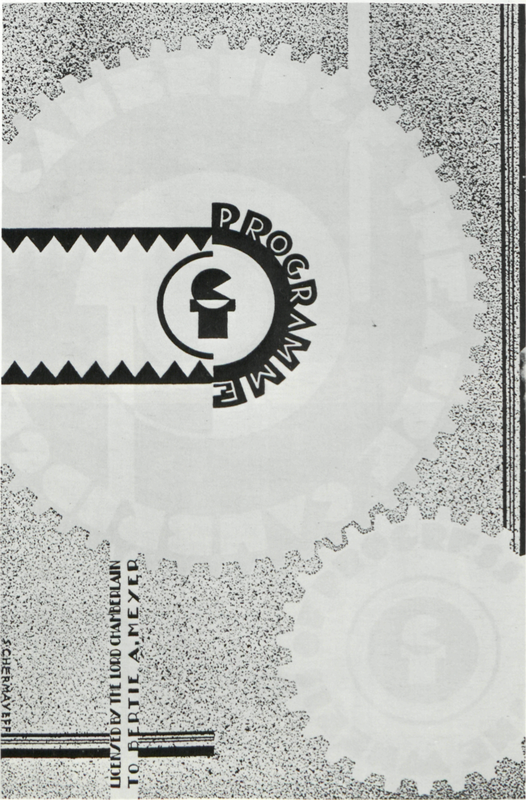 9 Original production. Victoria and Albert Museum. Photo behind title: backdrop design for Job, Gwendolen Raverat. On deposit at the Fitzwilliam Museum, Cambridge; reproduced by permission of the owner. 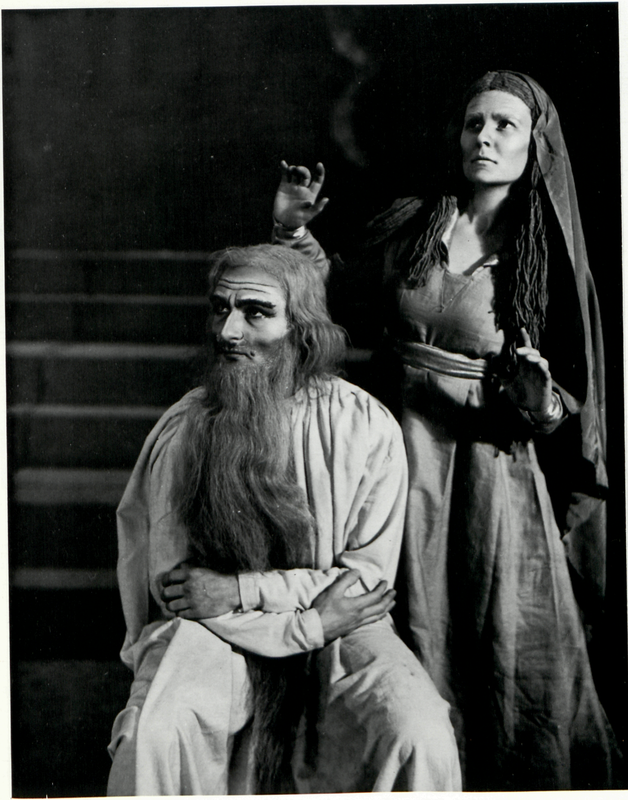 10 Robert Helpmann as Satan, later production. Victoria and Albert Museum.